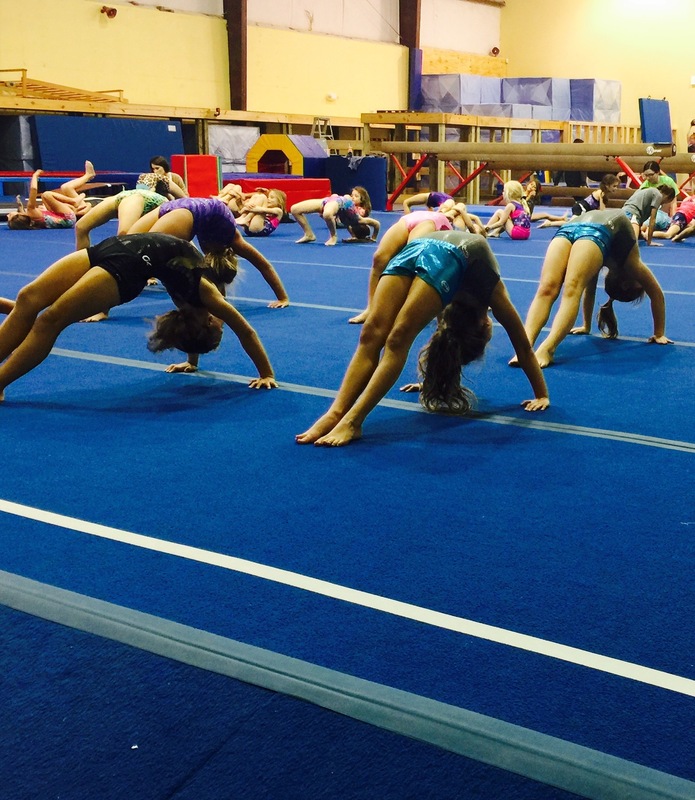 This class is for children ages 6 and up who have never taken gymnastics classes before. We will teach basic gymnastics skills on all 4 gymnastics apparatus: floor, balance beam, uneven bars, and vault. The primary skills taught are forward and backward rolls; handstand; cartwheel; chin-up pullover; casts; basic positions on beam: passe', releve', levers; and hurdling and jumping on a springboard. This class is for children ages 6 and up who have taken gymnastics classes but haven't yet mastered the primary skills taught in our Beginner I class. This class is for students who have mastered the basic skills taught in our beginner classes. 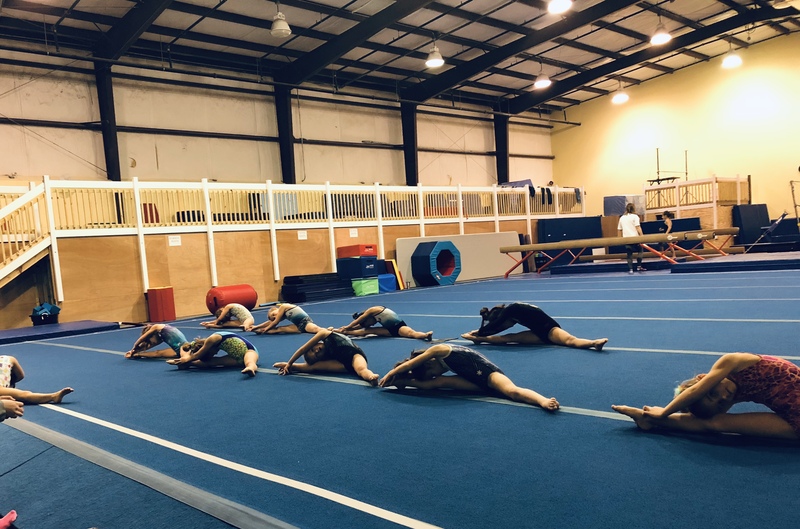 This class will focus on skills such as back hip circles, round-offs, front limber, back walkovers, front walkovers, handstands and cartwheels on beam, and will introduce tumbling. *Please note: Children must have achieved mastery of the following basic skills to enroll in this class: cartwheel, handstand, chin-up pullover, and casts.